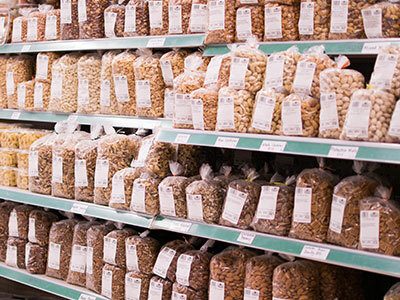 We specialize in bulk foods and spices. 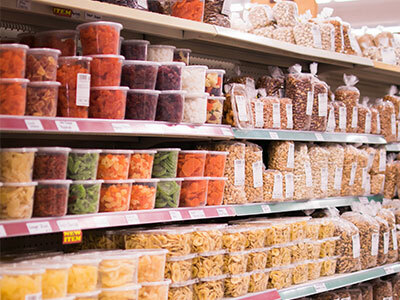 Because we buy our products in large quantities and bag them out in smaller amounts right here in our store, we are able to offer high-quality foods, snacks, and baking ingredients at excellent prices. Make sure you check out the bulk items in the freezer – we have an interesting variety of breaded foods to deep fat fry. 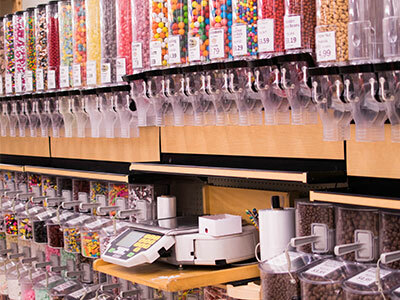 Don’t miss our bulk candy aisle! Our self-serve system allows you to get exactly the amount you need, and then you get to weigh and price it yourself. Could be you’ll find it so much fun you’ll want to get another kind! "This store is amazing! They have everything here from groceries, clothes, clocks, toys. There's literally something for everyone here. Not to mention most of the stuff here is made locally, and not the typical Walter foreign quality that most people are used to. The products you buy from this store will last. My wife had some blueberries from here, and said their the best she's ever had in her life. My Grandma was the one who needed to go here, and honestly we didn't expect to spend any money while we were there. This is definitely an awesome store, and worth stopping at if you're in the area."